Forum Description: Post your parts for sale here. No traders please. 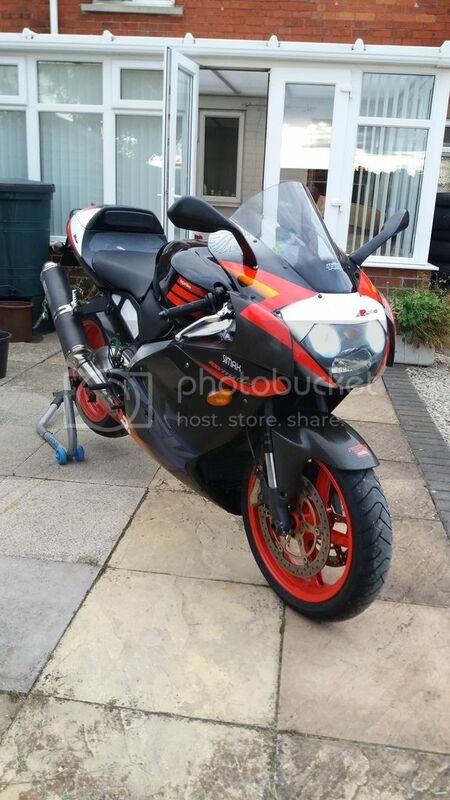 Hi every1, i'm gonna be breaking my aprilia mille 2002 over the next few week-ends. It's my road bike i've been riding up till now however i need some of the parts to go to my race bike for next season. is the front mud guard carbon or painted buddy? 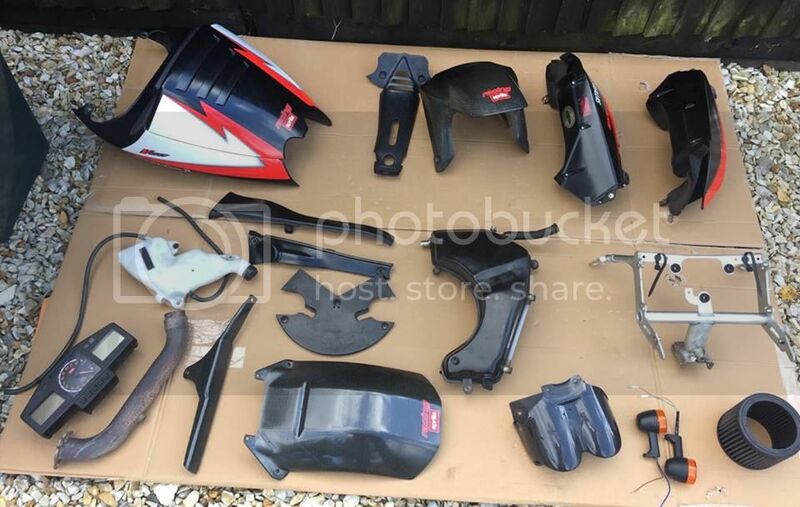 Front mudguard is i'm pretty sure genuine aprilia rsvr, i wont put it up for sale untill it's removed though as i have broken 1 before . It rides beautifully and i really didn't want to break it however i need the wheels, rear sets and most importantly the engine for racing next season. ok buddy,give me 1st refusal if you get it off in 1 piece lol. I cant see anything - the pics wont load. What kind of exhaust have you got on it? Hmm, i don't honestly know why you can't see it buddy??? what wheels are you looking for? OZ or Brembo's? What condition is the fuel tank in and what price are you looking for it? Oil cooler and brackets £25 delivered mate? No probs, but if you decide to sell by itself, please let me know. Done Carl...any photos of the Edwards? 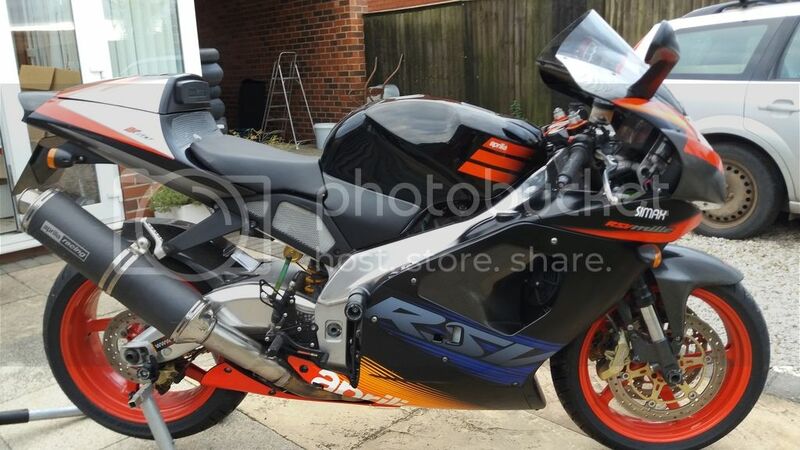 Carl, looks like your tank and fairing etc have sold. Whenever you get time to access the Edwards tank can you give me a shout please? 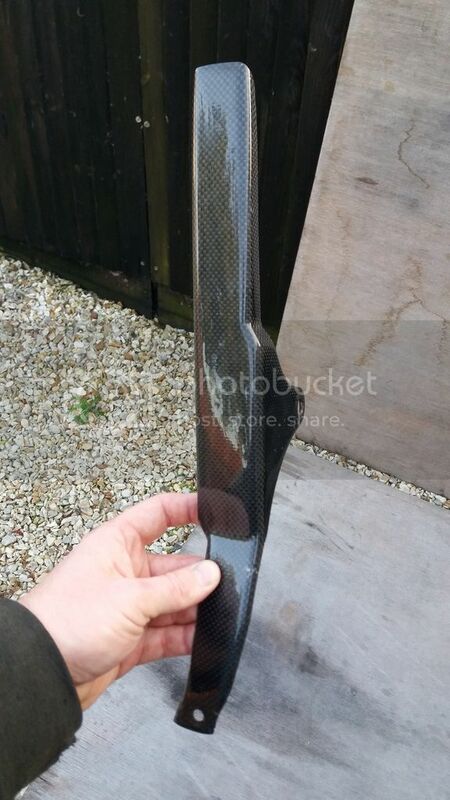 Apologies if it's already sold but is the rear light unit carbon? 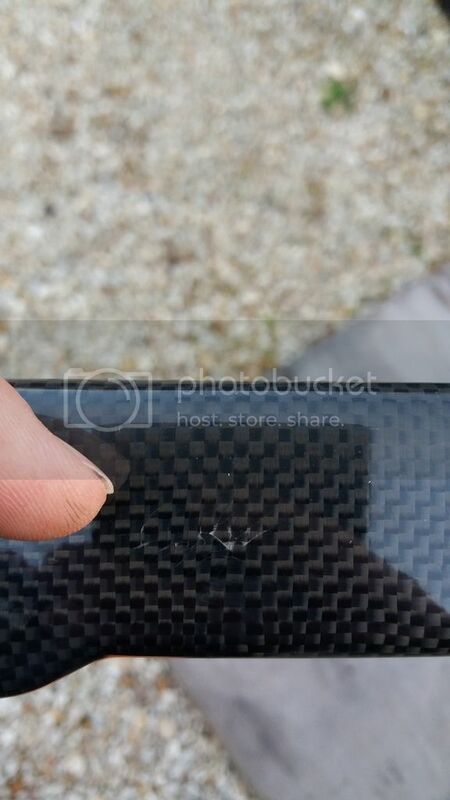 and if so is it the whole thinkg in carbon or just a cover? and finally how much are you looking for it? is that the modded collector you have there mate? Sfs? Did the rear light unit go? 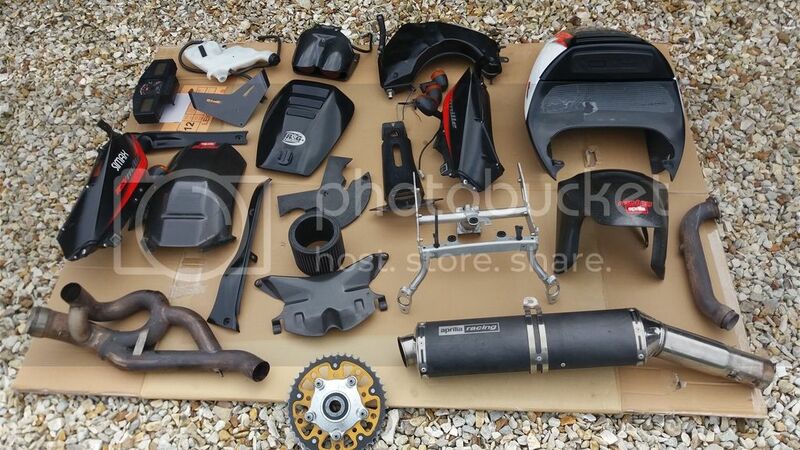 can you give us a price for the tail unit rear lamp air intakes and the 2 fairing panels ? will the tail unit fit early 2000 mille ??? 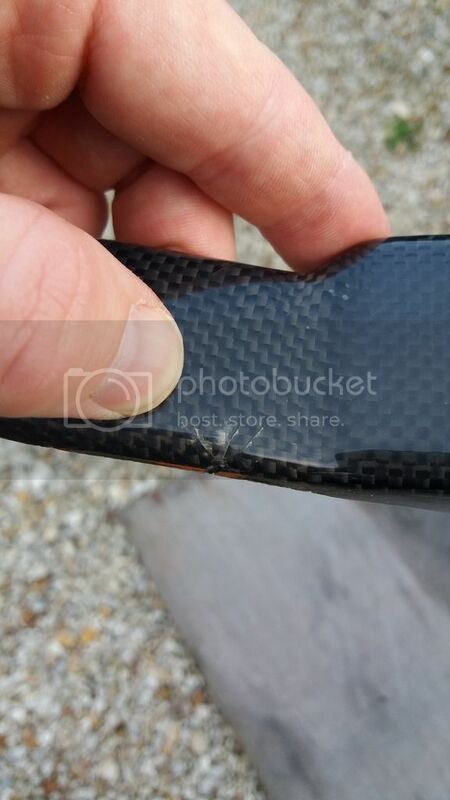 Carl, is the chain guard carbon, if so how much plz? price for the indicators please? Ill take the chain guard if no-one else is in front of me? Carl, I've picked up a matt guard to go with my hugger, thx. I see someone else wants yours. Ill take yours Carl. Ill send you a pm. hi Carl, if the indys haven't gone, could i take them please? money sent for tail unit and lamp fella ! How much for the oil tank if still free and are you selling your headlight at all and If so how much . Don't forget I'll have the forks when you've finished with them! Hi mate. Probably all sold but do you have anything left? Anything in particular you are after? Have sent a pm mate. Hi Carl is the rear hugger carbon or just black?